To commemorate Jacques Brel’s 90th birthday on April 8, 2019, The Rhumbelow Theatre in Durban presents A Night In Paris from April 5 to 14. This powerful show starring Tonya Koenderman encapsulates the love of drama and romance as only the French can do. It features songs from the ever-passionate Edith Piaf: La Vie En Rose, Mon Dieux, and Je Ne Regrette Rien. Not to be forgotten are classics from Jacques Brel such as Ne Me Quitte Pas, Chanson des vieux amants, Yves Moutin’s Autumn Leaves and Charles Aznavour’s Quiet Love. On a lighter note, Koenderman portrays the fun and folly of Paris with classics such as C’est Magnifique, Habanera, and the ever sassy Le Jazz Hot. A Night in Paris is entertainment is bound to pull at your heart strings. The show is half English and half French so those without the luxury of speaking French can still understand and be transported by this poised and powerful performer. Koenderman has been hailed by critics as "one of the hottest properties on the cabaret circuit", and "a pint-sized dynamo". She started her career fresh out of drama school with Kevin Feather's cabaret, The Dooh Wah Girls in 1990, which ran on and off for four years. Other cabarets under her belt are Dooh Wah Girls, We 3, Juke is King, Jive to the Juke, and Wurlitzer, All of Woman and Shake Your Bootie, all of which have performed to packed houses throughout South Africa. Her solo cabarets include the hits, Tonya unwrapped, Makin' Whoopee, Liza with a T, Age of Aquarius, Divas to a T, Around The World, When Jazz Was King, The Convent Girls, Bassey and Me and Born To Diva. Koenderman performed in the look-alike, sound-alike show Stars in your Eyes, impersonating her favourite artist, Liza Minnelli, which ran for two seasons at the Carousel. She has worked extensively for Sun International in numerous extravaganzas throughout South Africa. 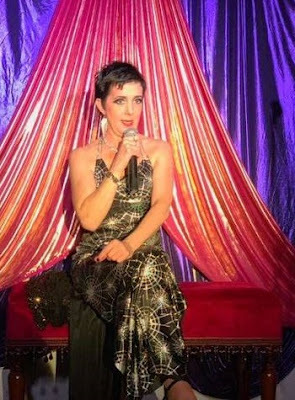 She also had the great honour of being the only local artist to star in the Sun City sensation, Beyond Belief, which ran for 16 months at the Sun City Extravaganza In which again she impersonated the legendary Liza Minnelli. Most recently, she has been very much in the corporate function scene. Performances of A Night In Paris with Tonya Koenderman take place from April 5 to 7 and again from April 12 to 14 with shows on Fridays and Saturdays at 20h00 and on Sundays at 14h00. The venue opens 90 minutes before show for picnic dinner.